Guillermo Coronel EBM, Futurepop Covenant is the one of the most important Futurepop band is the Nordic scene and this year they have found themselves busy focusing on creating new songs; hence in the end of September 'Leaving Babylon', their last album, was released. However, now we're going to talk about the previous EP before the 'Leaving Babylon' release, called 'Last Dance'. If you like Futurepop music you can easily recognize a song of Covenant, this band has a particular style, their strength is the powerful sounds with faster rhythms, outstanding percussion above faint melodies accompanied by the intensity in each song to generate the complete ambiance so very necessary in a Covenant song. When the vocal works of Simonsson is highlighted, it's impossible to confuse with anyone else. The voice of the front man is the brand of this band. However, I got to say that I feel it is difficult find any differences in the different albums from Covenant. Obviously the band has grown with time, improved their sound, but I could say the band keep the same musical style from the beginning. I can see the evolution in Covenant, but to be honest, I cannot see the creativity rising along with their career. Maybe it could be a method to maintain the originality and stay current in the scene, especially when their style is the owner of a particular genre, because nowadays, some bands are used to be copies of old sounds and ways. Covenant is the one of the most important Futurepop band is the Nordic scene and this year they have found themselves busy focusing on creating new songs; hence in the end of September 'Leaving Babylon', their last album, was released. However, now we're going to talk about the previous EP before the 'Leaving Babylon' release, called 'Last Dance'. 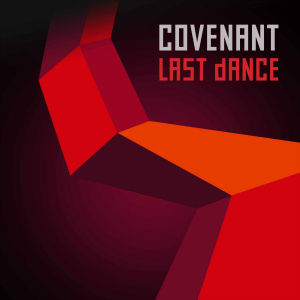 In conclusion 'Last Dance' EP is a sample of the Covenant brand, powerful and energetic music showing in a few tracks.